Gone are the days of choosing between a flat white ceiling and popcorn spray-on. 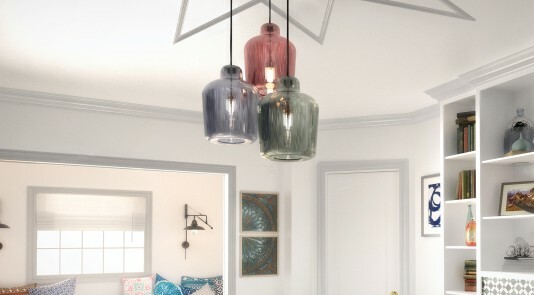 Options for ceiling design have reached new heights and our Metrie Masters illustrate this perfectly. Ceilings have been on our mind this month, so we’re sharing four of our favorite overhead works of art. This space doesn’t need furniture to show off its beauty, the design, finished with our Very Square Collection, lets it speak for itself. The fireplace works well as the focal point of the room and is flanked by useful, yet-chic built-in storage, but the ceiling is the real star of this space. 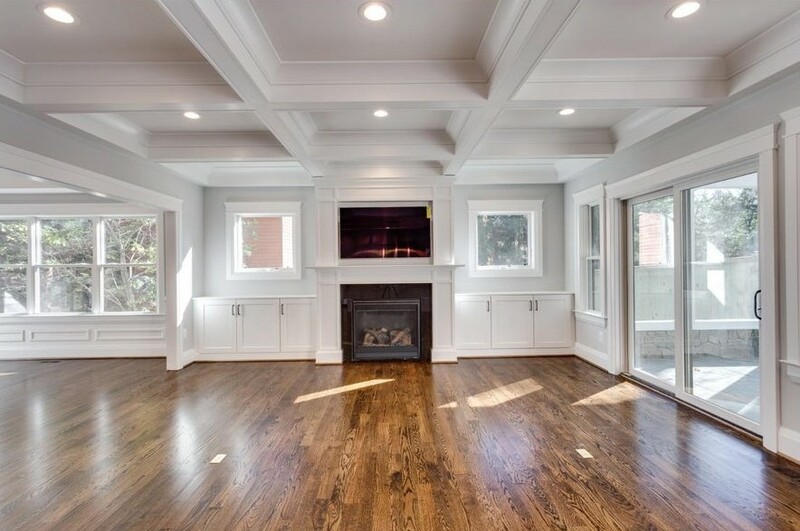 This classic coffered ceiling created with crown moulding adds elegance to the open living area. The room is flooded with natural light during the day, and for evenings, Classic Cottages installed recessed lighting that perfectly supports the design. You can learn more about Classic Cottages and browse more of their home builds and designs in a fun read, here. 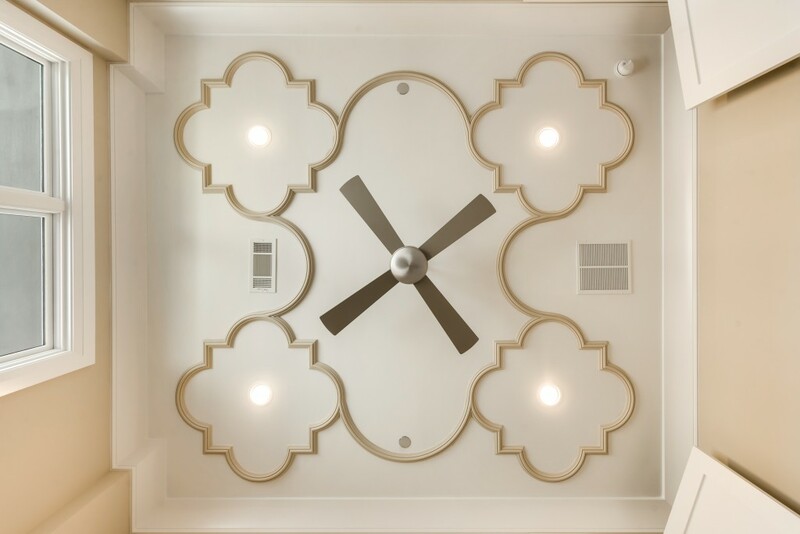 It’s clear that we love a bold ceiling, but to create the look, you need a transition from walls to the ceiling that fits your design. In this quaint space, Very Square crown moulding creates a seamless transition into the designed ceiling. Byrom Building Corporation surprised us by choosing flat stock to create a geometric pattern that beautifully complements the other elements of the space. Keeping the ceiling and flat stock color consistent is the perfect choice to avoid the pattern from becoming overwhelming. Family-inspired spaces, like this one from Vogt Building Construction, take us back to our childhood. The paneling and dark wood beams hint at tradition, but with modern lines and high contrast, there’s no confusing this kitchen with ones from the 1970’s. While the tongue and groove ceiling detail is sophisticated on its own, the crown moulding above the artful cabinets skillfully draws the eye up and creates a lovely frame for the rustic-but-elevated ceiling. 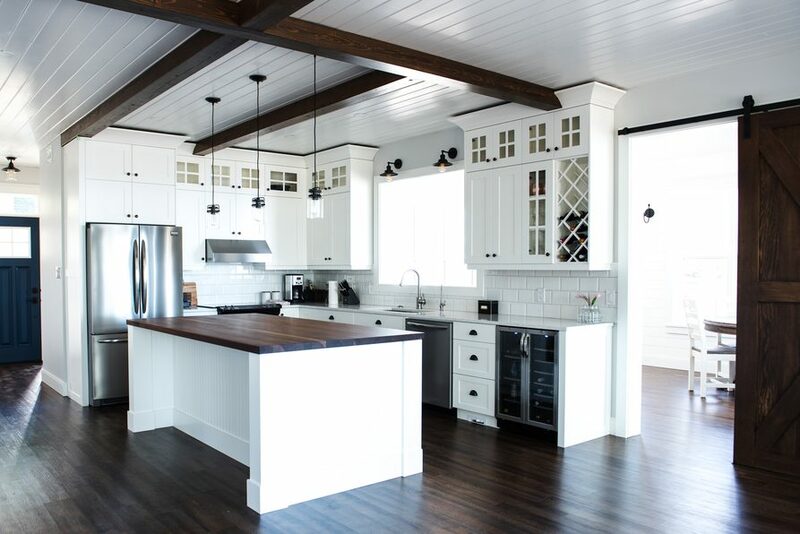 Our True Craft casing is also If you’re hoping to have a similar ceiling treatment in your space, you’ll want to investigate shiplap. Ornate ceiling design is ideal for a bedroom, because who wouldn’t want to wake up or drift off to sleep to this European-inspired moulding? We love the pattern, a perfect mix of sharp corners and feminine curves, but the crisp white crown moulding ties it into the rest of the room by giving the eyes an easy way to transition from wall to ceiling. 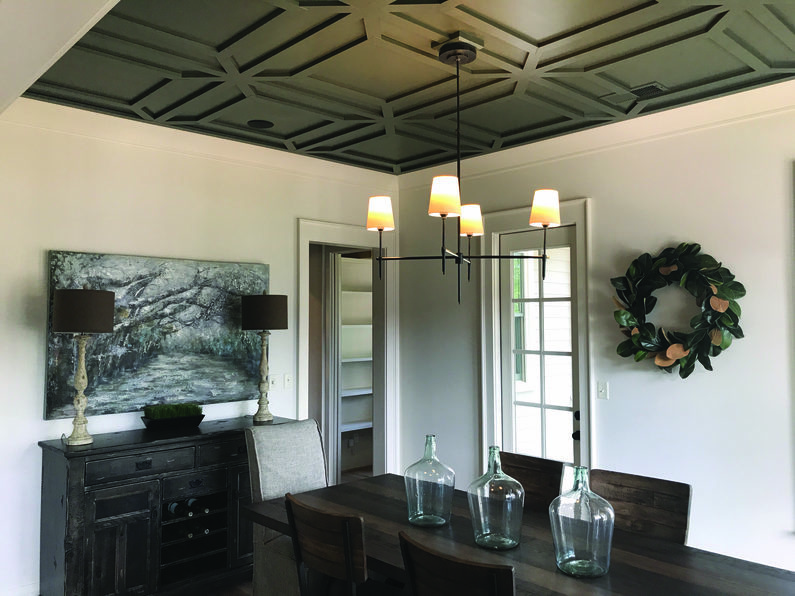 It’s clear, whether you use feminine curves like Atwood Custom Homes or a statement coffered effect like Classic Cottages, the ceiling is a place to get creative. 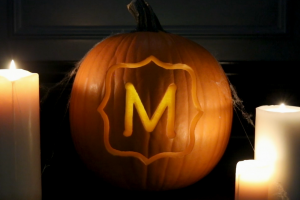 Our Metrie Masters know a room isn’t just four walls. Designing your ceiling is a great opportunity to get the most from your space and hopefully, you have been inspired to reach for the stars and really elevate your design (see what we did there?). We’re always in awe of the creative and beautiful ways builders and designers use our products to turn rooms into stunning, finished spaces. Each month this year, we’re featuring amazing spaces from the Every Room Tells A Story — 2017 Builder & Designer Challenge because these participants truly have artfully mastered Metrie interior finishings, thus them being dubbed as Metrie Masters, and their work deserves to be celebrated. To recap last month’s Metrie Masters, click here. 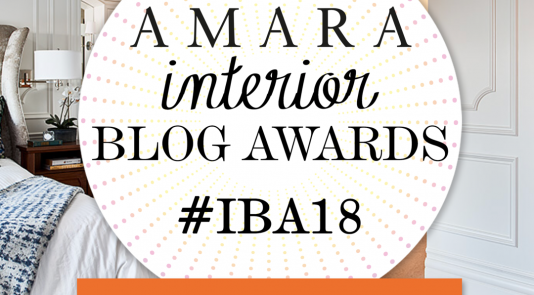 We've Been Nominated for an Amara Interior Blog Award!